Who would know that library paste could be so dangerous?! Guess we should all listen to our kindergarten teachers who warned us not to eat the glue. An unknown man in Nevada was found dead after he ingested a tube of library paste that he found in a dumpster. Thanks to Find A Grave for sharing this! I had never heard of Mata Hari until reading this novel, so it was fascinating to learn about this woman who took Europe by storm in the early 20th century. She built her life from nothing but her imagination. She was beautiful and talented and she traded on that to become an icon. The author describes her beautifully, which led me to search for pictures of her. I really loved this book. It was hard to put down. (I actually read it in two days!) This book was beautiful and over too soon. It has average reviews on Goodreads but I highly recommend this! Another great novel by Michelle Moran. Place a copy on hold today. New books in late January! We’re well into January, and there are still some exciting new releases to look forward to this month. 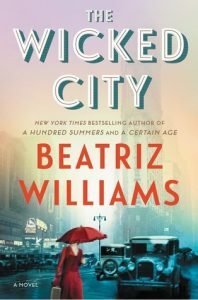 “The Wicked City” by Beatriz Williams was released Jan. 17. Jan. 17: The Wicked City by Beatriz Williams — Love the 1920s, speakeasies, and flappers? This might be just the book for you. Williams, who wrote A Certain Age, re-creates the Jazz Age in New York City in this novel that mixes past and present. The story centers on a “love triangle involving a rugged Prohibition agent, a saucy redheaded flapper, and a debonair Princetonian from a wealthy family.” Its rating on Goodreads is 4.06 stars. “The Girl Before” by J.P. Delaney releases on Jan. 24.
evil gods and lots of dead people. If you love urban paranormal that is also laugh-out-loud funny, this series is a must-read. Goodreads readers give it 4.5 stars. Jan. 24: The Girl Before by J.P. Delaney — Here is a story of two women who move into the same house, years apart. A psychological thriller that is already slated to be adapted to the big screen, reviews promise a suspenseful read with plenty of surprises. It rates 3.9 stars on Goodreads. Jan. 31: Caraval (Caraval #1) by Stephanie Garber — This first title in a new young adult series is currently atop the list of most popular books published in January 2017 on Goodreads. A good match for readers who loved The Night Circus by Erin Morgenstern, this is a tale of two sisters who enter a legendary game of intrigue to escape their ruthless father. Advance readers have rated it 4.3 stars on Goodreads. Author Cori DoddsPosted on January 19, 2017 Categories UncategorizedLeave a comment on New books in late January! features macro and standard photography. Viewers of the exhibit will find themselves reflecting on their interests and asking questions prompted by the photos. 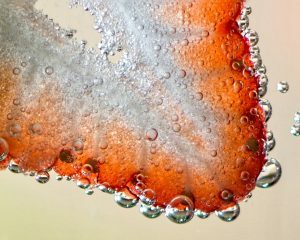 Macro photography, taking close-up photographs of tiny objects, has become a more popular technique with the advent of digital cameras. It presents the photographer with many challenges, as trying to capture the essence of something so tiny and taking that image to a size many hundreds of times larger can be both frustrating and exhilarating. 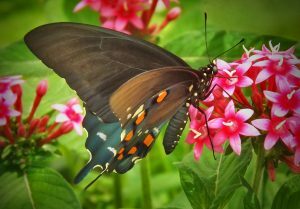 Members of the Wichita Area Camera Club take great care with their subjects, working to bring focus and deliberation to their photographs. This often results in the viewer exploring the photograph in ways unfamiliar to them. Members of the club meet monthly at Douglas Photographic Imaging on the second Tuesday of the month. 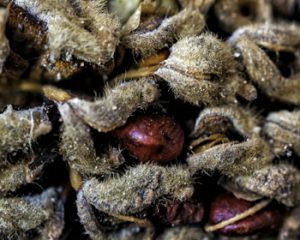 Each month’s meeting includes a photography assignment challenge. The mission of the club is to educate its members and offer opportunities for each member to improve their skills. Each member is encouraged to seek out photo competitions, group photo shoots and other activities that will stretch them as photographers. The public is cordially invited to attend a reception honoring the artists 6-7:30 p.m. Feb. 9, 2017, in the Community Room at the Derby Public Library. Photographers featured in the show will be on hand to answer questions and discuss their photos and techniques. Call Tami English at 316-788-0760 for more information regarding the exhibit, reception or purchase of photos. 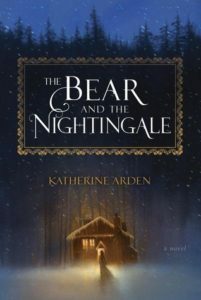 Katherine Arden’s debut novel, The Bear and the Nightingale, is like living in a Russian fairy tale. The language was beautiful and it filled you with images of magic, hardships, cold and beauty. I read this covered in blankets and felt the cold creep off the pages. There is a lot of build up to the end but each piece of the story plays an important part. All the characters are complex and wonderfully written. You understand people even as you hate them. This book was amazing! Highly recommend but don’t expect a fast easy read because this has so much detail and beauty it is meant to be savored. Reserve a copy of The Bear and the Nightingale today! Welcome to the “Book Factory”! 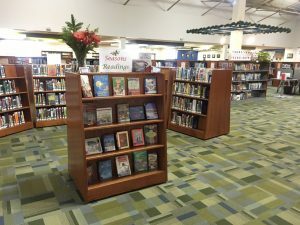 Mom-What happens when we run in the library? Mom- The floor opens up and it eats you! -A lady just asked where the card catalogs are! That is still one of my favorite questions. She was holding an iPhone in her hand too. -Patron: I looked up the book in some website amazon.com or something like that.